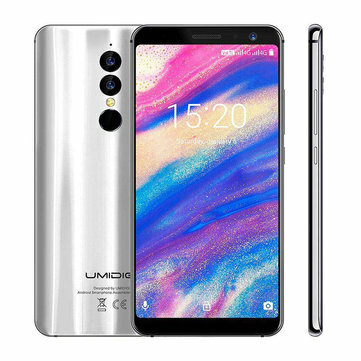 Umidigi has released the second smartphone of 2018: the Umidigi A1 Pro which, despite costing less than 100 euros, still offers facial recognition, a borderless display and Android Oreo 8.1. In this first look article, we’ve got the technical spec and our first impressions of the new Umidigi A1 Pro. 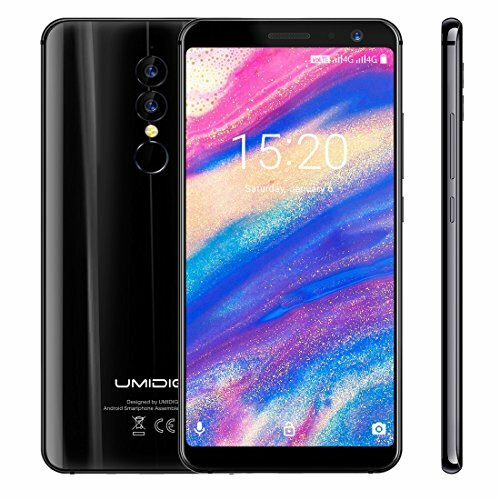 The Umidigi A1 Pro comes in a beautiful black box, inside which we find, in addition to the smartphone, a back cover in soft and transparent plastic, an instruction manual in English, a USB Type-C cable, a power supply and a SIM eject needle. The Umidigi A1 Pro has a curved and reflective 4D curved body, with silver-colored metal edges. The two sensors of the dual camera and the fingerprint recognition sensor are aligned on the back. On the top we find the slot for the SIM Card, which can simultaneously accommodate 2 Nano SIM or a SIM and a MicroSD. On the right, we have the buttons for volume control and the on / off switch. At the bottom, there is the speaker, the USB Type-C charging port and the headphone jack. The screen on the A1 Pro measures 5.5 inches and the screen / body ratio is 85%. The resolution is HD plus (720 x 1440) with 293 pixels per inch. The 16M color support provides sharp and vibrant images. Personally, we found the display similar to other models in the same price range, but better in terms of clarity. As proudly announced by Umidigi on Youtube, Umidigi A1 Pro is the first phone in the world to include the new MediaTek MT6739 chip. This is essentially an update of the MT6735, which is one of the favoured chipsets among low-end phones. The enhanced MT6739 allows for better camera and video quality while maintaining aolid performance and easily managing lightweight multi-tasking. I did not find any significant problems during use; social media behaved well, even with slow applications like Facebook and Snapchat. I would say that the biggest disadvantage is the 16GB of storage space that provides about 12 GB of usable space. Once my backup was restored via Google, I had about 1 GB of free space, which runs out quickly once you’ve taken some photos or downloaded some music. This problem can be solved with a microSD card with a maximum capacity of 256 GB. As for the operating system, we find the latest version of Android Oreo 8.1 and the latest security patch is dated 5th April 2018. Some websites claim that it has UmiOS which is an Android skin, but when I set up the phone, I had Launcher3, the default Launch of Android and Nova (this was probably downloaded automatically when I logged in). From what I have seen, there are few or no changes to the system; only a few additional apps installed and nothing that opens automatically on startup. The camera has a dual 13.0MP + 5.0MP sensor on the back and the software includes various modes such as beauty effects or bokeh. I had some problems with the camera app; it crashed a few times and once it wouldn’t start, saying that I needed to close the app that used the camera first, which forced me to restart it. There is also a little delay in taking pictures, which can be annoying if you want to take a picture quickly. Although the camera had some quirks, the overall quality of the photos is not bad for such a cheap phone. The front camera is 5MP, and is average at best. The Umidigi A1 Pro has a 3150mAh battery and the combination of a low resolution screen and low-end CPU allows you to get a full day of phone use without charging. 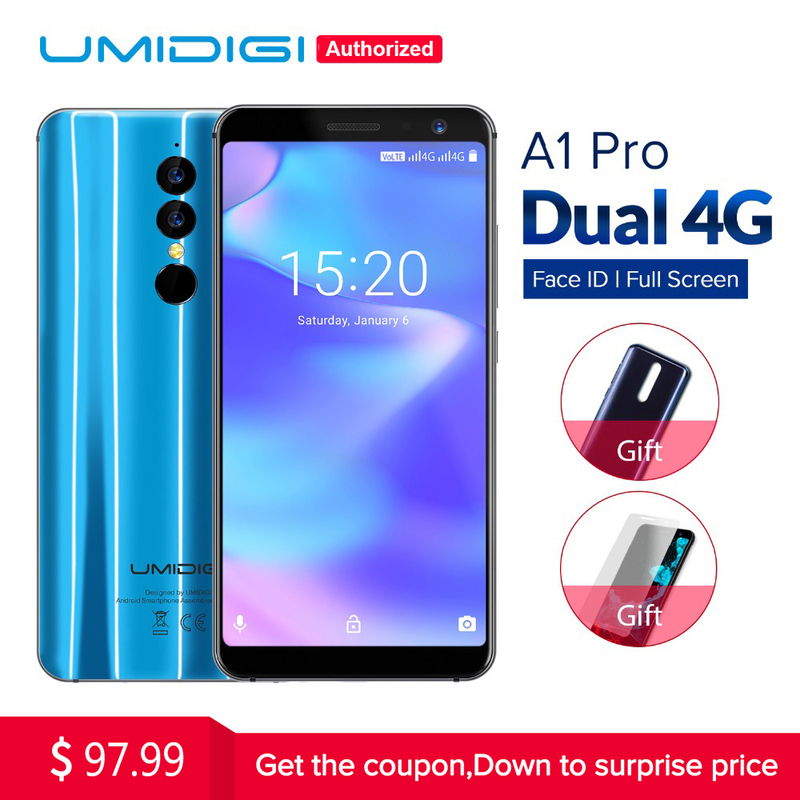 Unidigi claims to have equipped the A1 Pro with a fast charging 5V-2A, and it seems to load quickly, but it’s not as impressive as Huawei’s fast-charging options or Qualcomm QuickCharge phones. The Umidigi A1 Pro is available on the main Chinese online stores and also on Amazon. You can easily find online coupons for stores like GearBest that can save you a bit of money.